The most robust designs are the simplest, as lower complexity in a system means there is less to fail. When you have to depend on kit it is vital to have something lacking in superfluous attributes. These soon break when you need them most leaving you short. 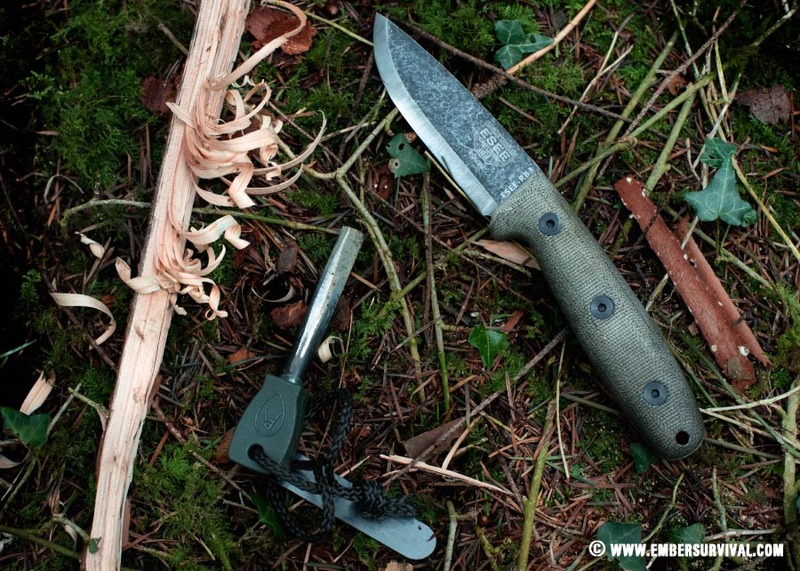 This is a full review and field test on the Esee RB3 Camp Lore Bushcraft Knife. Esee have used some of the most tried and tested designs in the world to produce the Camp-Lore line of outdoor knives. 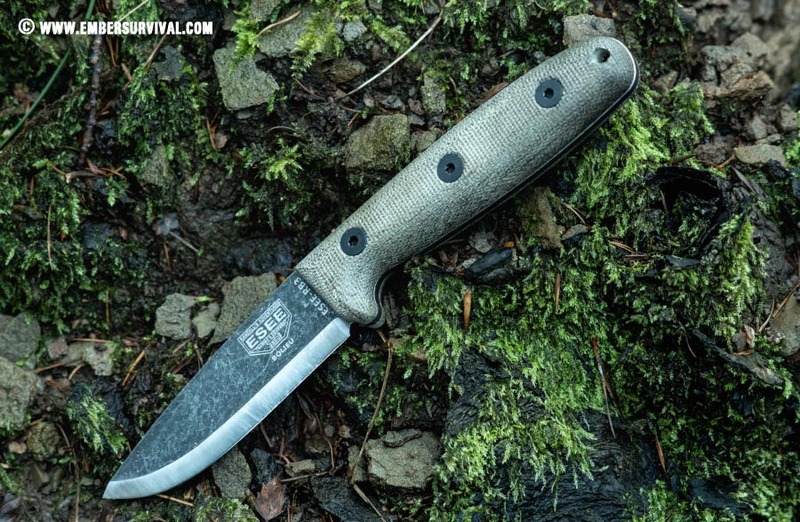 The Esee RB3 is one of the most competent all round items of this line up. Let’s take a closer look. 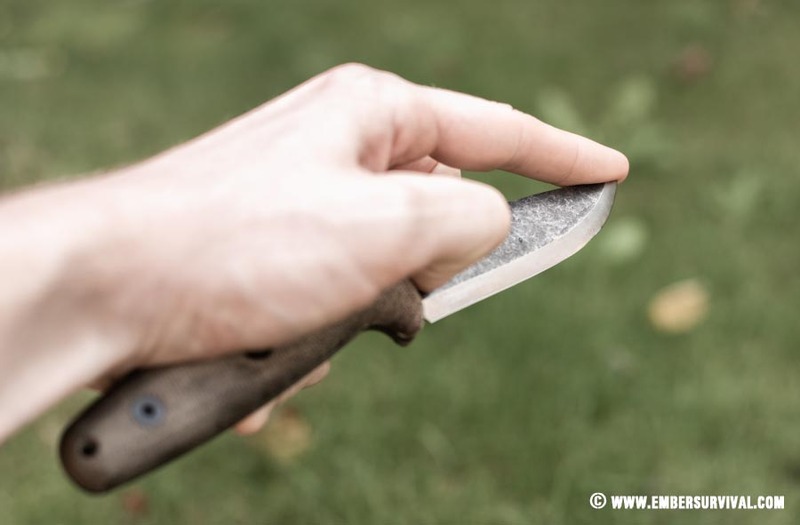 The Esee RB3 is a Scandinavian ground full tang bushcraft knife of discreet proportions. Firstly it has a comfortable micarta handle that possesses smooth contours. These make it useful in situations where the knife will be held for longer periods of time. Secondly Esee’s tumbled oxide finish that covers the blade make in all for a very impressive tool. 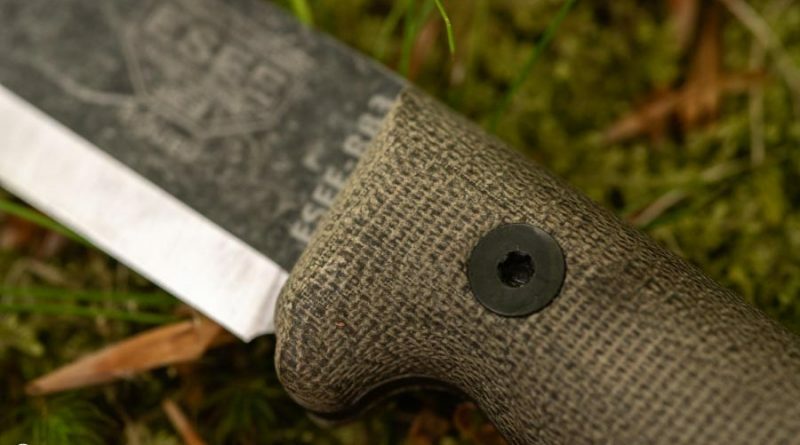 Esee Camp-Lore RB3 is a great bushcraft knife that comes with a solid sheath. 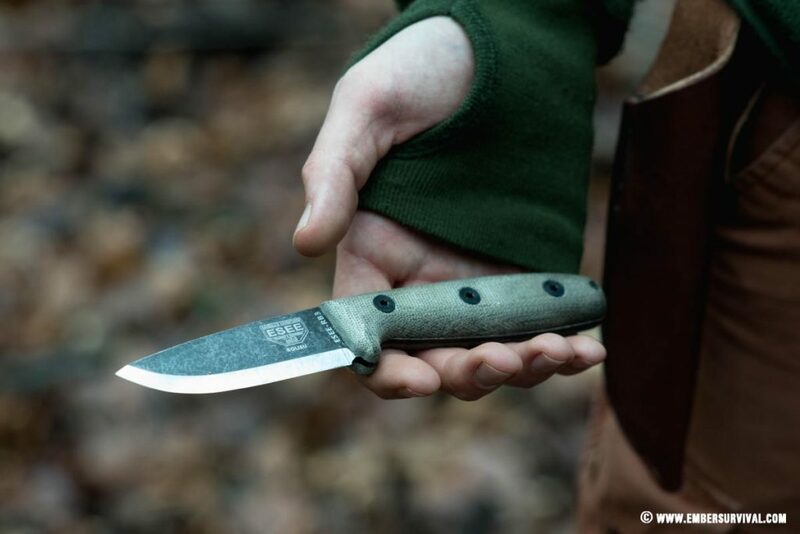 The RB3 is an all round bushcraft knife with the ability to produce some lovely carving projects with its Scandi grind and comfortable handle. At the same time its 1095 High Carbon steel is suitably hard and a good steel choice. The blade is protected by a tumbled oxide finish which helps protect against rust. However the blade grind, spine and logo are not covered by this finish and therefore will rust if left untreated. A suitable oil or rust inhibitor should be used to protect the knife. The spine is ridge ground and can strike a firesteel, which is one of my favourite ways to use a knife in firelighting. Esee Camp-Lore RB3. It has a great handle with micarta scales. Feels great in the hand. 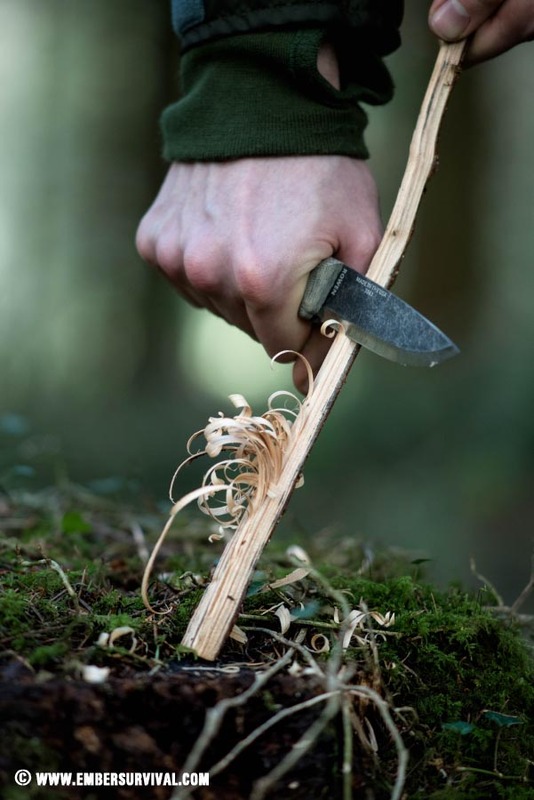 However it should be stressed that using the RB3 for rougher tasks such as splitting wood should only be done as a last resort as the edge of Scandi ground knives are fine and can be rolled easily if you hit a wood knot. The interplay between handle and blade is superb and the RB3 feels right in the hand. The micarta scales are well shaped with an adequate palm swell and textured feel that really aids in grip. The Esee RB3 works very well in the forehand and backhand grip. The chest lever style of grip works great on the RB3 too, I shift my hand ever so slightly further down the handle to accommodate the finger guard but this doesn’t negatively impact performance of my favourite grip. Esee Camp-Lore RB3 being used to make a featherstick. The curved dimensions of the knife give the user mechanical assistance when cutting. The whole knife geometry is slightly curved. This slight curvature allows the user to exert more pressure on the material being cut through due to the mechanical assistance of this curve. Above all this helps a lot with making feather sticks. Esee Camp-Lore RB3 with a firesteel and featherstick. Great companions in the woods. The blade is made from 1095 High Carbon steel and is 8.9cm in length (3.5 inches). This more discreet size enables the user to be far more precise in directing power in tasks than with larger blades. Moreover the Scandinavian grind is very fine which goes hand in hand with this smaller blade size. Esee Camp-Lore RB3 makes a great skinning and game prep knife. Its smaller dimensions make it very balanced in the hand. The RB3’s dimensions make it excellent at skinning and game preparation. For example you can cover the blade tip and also maintain a good purchase on the handle. The frees you up to use the belly to prepare game. Above all just make sure you sterilise the blade and handle afterwards. The micarta scales are dry to the touch and offer excellent absorbency properties. For instance sweat is drawn into the handle and prevents you slipping after prolonged use. Oils are also taken into the micarta and so washing with warm water and soap resets the handle material back to clean and new. 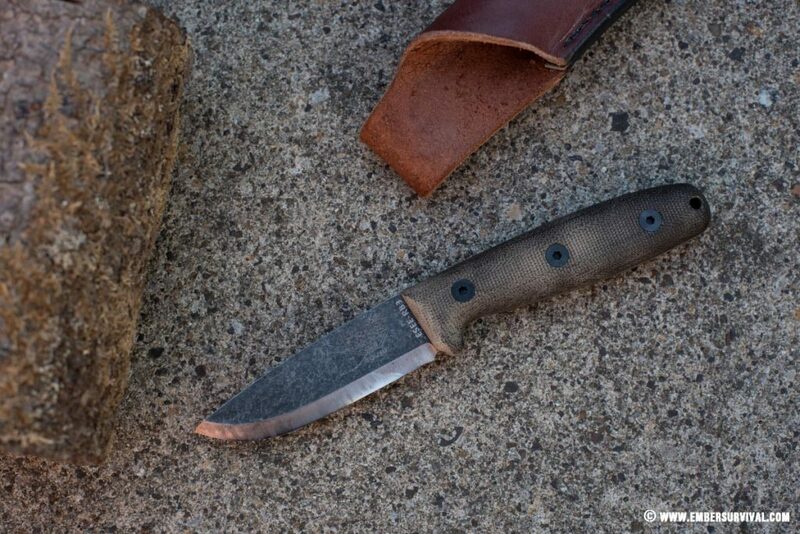 The Esee RB3 comes with a sturdy leather sheath that is thick, it has a basic belt loop and solid stitching. I would have loved to see a Kydex sheath option but you can always make one yourself. Esee Camp-Lore RB3 comes with a thick leather sheath. Above all the Esee RB3 is a fantastic knife and offers the user a great package. The knife is very well designed. I would however have liked to have seen a Kydex sheath. Wet forming the sheath for a better fit as I found out the box the sheath was too grippy on the knife. I really appreciate what Esee have done by letting a smaller knife go onto the market. Normally dominated by larger 6 inch blades the RB3 instead is refined yet strong. This gives the user an experience tailored to bushcraft use. 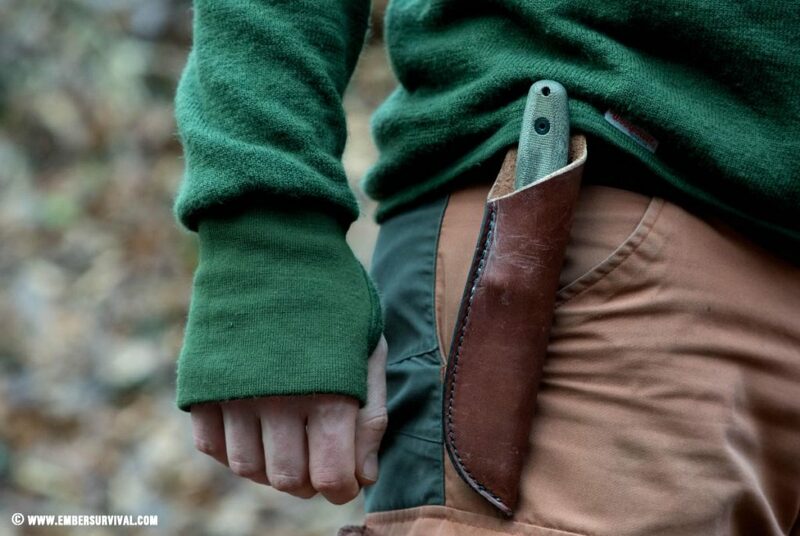 A fantastic companion to have in the woods with you.